This article follows up on the previous article, Countdown Timers – Dynamic Multi-Threading with Web Viewers. I recommend that you read that article first if you have not already, as it covers the basics of how this technique works. We’ll cover another simple example of what can be done using Web Viewers, and we’re still just scratching the surface of what can be done. 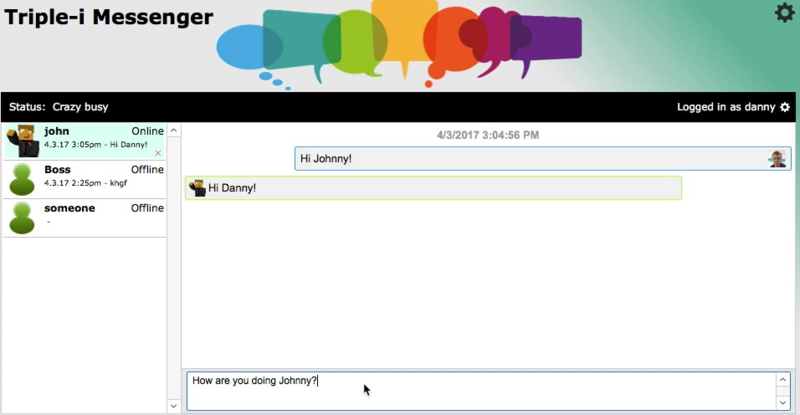 For instance, in the next article, we’ll discuss creation of an interactive, internal instant messaging program with nothing but FileMaker Pro and web viewers: no plugins and no external internet access required. In this step, we create a simple table in our FileMaker Pro database that stores our alarm clock parameters. This table is very similar to the one created for the Countdown Timer. And similarly, there are a number of ways this could be set up depending on how you want to use the alarm clock. For instance, for this example, we will set it up so there is one alarm per user. In this way, if a user closes the database and opens it again (whether on the same workstation or a different workstation), their alarm clock setting will persist. Alternatively, the alarm clock could be workstation based, function based or session based. You may also choose to allow a user to set multiple alarms at one time. __pk_AlarmID – Number – Auto enter Serial. This is the primary key of the table. Though we don’t actually use this field for any relationships or other functionality, it is always good practice to include a primary key field in every table that you create. This way, if you ever need to isolate a record it in a relationship or script, you will have a way. Label – Text. This field is optional and allows one to give the alarm a label. For instance, if you want to remember to eat lunch at 12:30PM, set the label to “Eat Lunch,” and when the alarm goes off, it will flash, “Eat Lunch.” This is especially useful if you set it up to allow multiple simultaneous alarms. AcknowledgeTimeStamp – Timestamp. This field will be used to flag the alarm clock as “Acknowledged” so it stops flashing and beeping. We use a timestamp so that we know when the alarm was acknowledged, so for daily alarms, the alarm will go off at the next appropriate time. Hour – Number – Restricted to 1-12 (12 hour clock). This is a data entry field where the user enters the hour the alarm clock should go off. Minute – Number – Restricted to 0-59. Another data entry field for entering the minute. 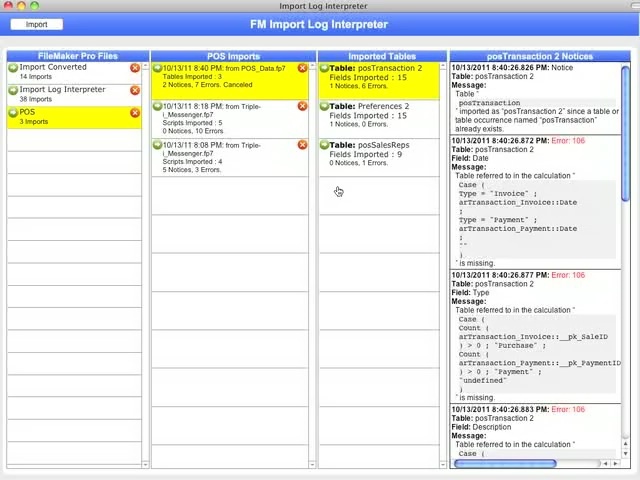 AMPM – Text – Restricted to value list containing values AM and PM. Date – take a guess. 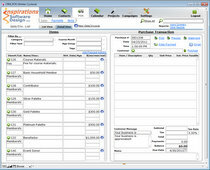 Another data entry field for entering the date of the alarm or left blank for a daily alarm. This calculation allows for daily alarms where no date is specified. Once the alarm for one date is acknowledged, it is ready for the next day. If you have a user table, such as I do in my database, create a relationship between the Alarm table and the table occurrence of the User table that represents the currently logged-in user. The relationship will be based on this: Alarm ::_fk_User = User::__pk_UserID (__pk_EmployeeID in my case). If no user table and current user occurrence exists, simply create a global field in one of your tables (preferably a Globals table) that gets set upon log in to the current account user name. Then create a relationship between that table and the Alarm table using your global account name field = Alarm::_fk_User field. Create a web viewer sized 230×25 (you can do any size, but the HTML code below is optimized for this size). If your field and/or table occurrence are named differently, you will need to adjust these lines accordingly. Note: You may have noticed the method we’re using for the sound is slightly different in this project than in the Timer project. Both methods are valid and would work in both cases. I chose to use different methods to demonstrate different ways of approaching this. In the timer solution, we permanently embed the sound in the HTML. In this project, we embed it into the HTML only when needed. This method is slightly more efficient when the clock is running and the alarm is not going off, but is slightly less efficient when the alarm is going off. Enhancement: You could paste this little web viewer to every layout in your solution. In this way, no matter what the user is doing, they will be able to see the alarm clock and will be alerted when the alarm goes off. You can adjust the font attributes in the body tag to make it fit. Create a layout for use as a popup window where the alarm can be set. Create a layout that shows records from your Alarm table. As in the the screen shot above, include the label field, hour, minute, AMPM (with a value list with values AM and PM), and date. The Clear button runs a script that simply runs a series of Set Field steps to clear the date from the Date, Hour, Minute, AMPM, AcknowledgeTimeStamp and Label fields, followed by a Commit Records step. The Done button simply closes the window. When the alarm is going off, it will set the “AcknowledgeTimeStamp” field, thus stopping the alarm. When the alarm is idle, it will bring up the alarm settings layout in a popup window. #If the alarm is going off, set “Acknowledged” timestamp. #If the alarm is not going off, bring up alarm settings. #If no alarm record exists for this user, force one to be created through the relationship. #This is not the best practice, but is simple and portable for this exercise. That’s it. The timer should now work for you. If it doesn’t (as most programming project don’t the first time through), take a look at the notes on debugging in the timer article. Take a look at the debugging section of the Timer article where I discuss debugging web viewers with data URIs. And of course, if you are still stuck or you have any questions or comments, feel free to post a comment below or contact me directly. This entry was written by Danny, posted on July 29, 2011 at 10:30 am, and filed under Relationships, Script Triggers, Scripting, Web Viewers. How can I change the path of the sound file in web viewer ? (for Win) ….Thanks in advance..
if I want to enter the 24-hour format, change the text and graphics window, and that makes me the countdown of the type, (days and hours remaining) how should I do?